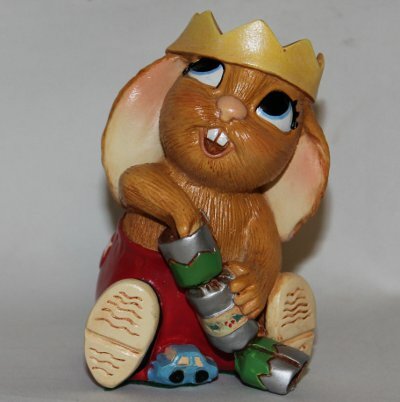 PenDelfin rabbit called Nicholas. 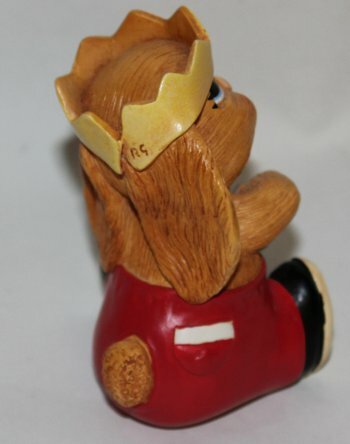 This PenDelfin rabbit has got his Christmas cracker and party hat and is wearing red trousers. He stands approximately 7½cm tall. 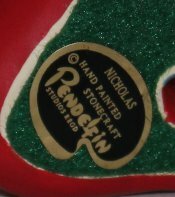 On his base this PenDelfin rabbit has his green felt and PenDelfin Nicholas label. Condition: Excellent overall condition. A lovely Christmas PenDelfin rabbit.